« First Photos of PM Abiy Meeting With Ethiopian Diaspora in U.S.
New York (TADIAS) — The Mayor of Washington, DC Muriel Bowser has proclaimed July 28th, 2018 “Ethiopia Day in DC” in celebration of Ethiopian Prime Minister Abiy Ahmed’s visit to the U.S. capital, which is a sister city of Ethiopia’s capital city Addis Ababa. 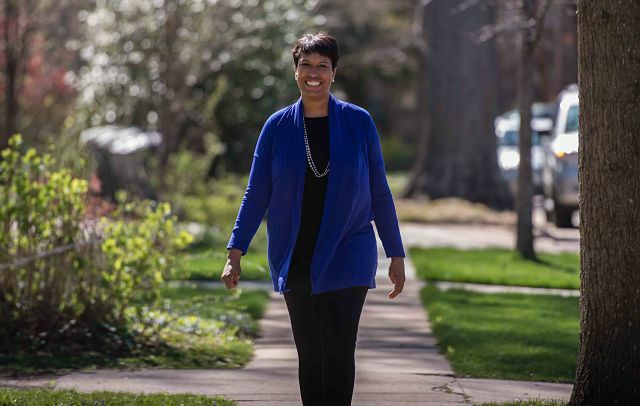 Mayor Bowser said she will join Prime Minister Abiy at the Walter E. Washington Convention Center on Saturday. Thousands are expected at the venue as PM Abiy holds his first public address greeting the Ethiopian community in the DC metropolitan area. 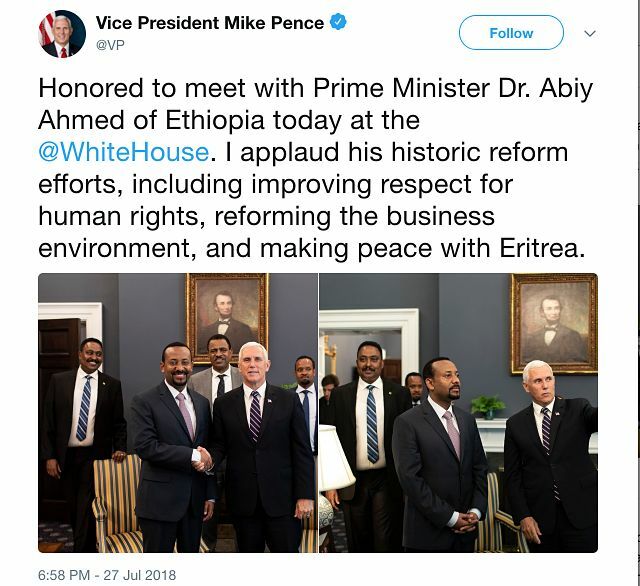 Meanwhile, PM Abiy who is on three city tour of the United States, also met with Vice President Mike Pence at the White House on Friday, July 27th. First Photos of PM Abiy Meeting With Ethiopian Diaspora in U.S.
Update on PM Abiy’s Visit to U.S.